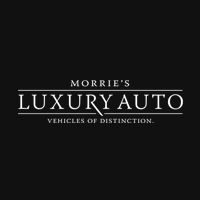 Every new vehicle purchase from Aston Martin Minneapolis includes complimentary enclosed transport of your vehicle. This courtesy service will deliver your new Aston Martin to any location in the continental United States in pristine condition, ensuring your peace of mind from purchase to delivery – and beyond. Enclosed transport of your new Aston Martin eliminates every variable from the shipping process; insulating it from weather, road debris, and other factors that could damage your vehicle before you ever take delivery. Whether your destination is two miles down the road, or across the country – enclosed transport is the only way to guarantee complete protection of your Aston Martin. Haven’t discovered your Aston Martin yet? Perfection awaits. We invite you to peruse our incredible selection of Aston Martin models today.